The cluster of 9 Sacred Srivaishnava Temples located near Tirunelveli are known as Navathirupathis.Among them Azhwar thirunagari is very well known and popular as the Avatara Sthalam of Sri Nammazhwar. 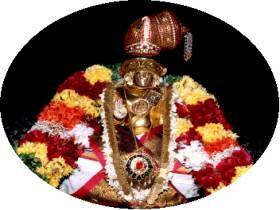 Among the Nava thirupathis only Srivaikuntam and Azhwar Thirunagari have facilities for boarding and lodging. Starting from Srivaikuntam one can visit all the nine temples on foot and offer prayers to all perumals in a single day. (Though some temples like Thirukulandhai may be a bit far, many pilgrims do complete the visit of all Thirupathis on a single day). One of the major attractions here is the NAVA THIRUPATHI GARUDASEVAI which takes place in May-June(Tamil month of Vaikasi). It is celebrated during the month of Vaikasi during the Nammazhwar on the fifth day of the 10 day Nammazhwar brahmotsavam and attracts huge crowds from nearby villages and towns. This festival was started in 1807 by Pandala Ramasamy Nayakar. 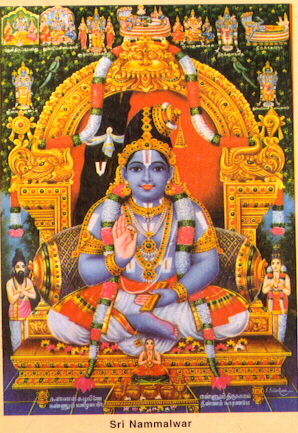 The unique feature of the Alvar Tirunagari Garudaseva is that the deities from the Nava Tirupathis seated on their Garuda vahanas come to Alvar Tirunagari. Nammalvar sits on a decorated Hamsa vahanam. Madurakavi Azhwar, sits on the pirangi narkali (chair). One by one, the Perumals of Nava Tirupathis come before Nammalvar and the pasuram by Nammalvar on that particular Emperuman is recited. The Perumal then offers a tulasi garland and sathari as an prasadam to Nammalvar. After the utsavam is over, the Perumals go back to their respective places after taking leave of Nammalvar. The Hamsa vahanam is placed in such a manner as to enable Nammazhwar to have a continuous look at the receding figures of the Nava thirupathi emperuman's and only when it is impossible to see anything clearly is the pallaku (palanquin) of Nammalvar taken inside the Adinathar Perumal kovil. These 9 Vishnu temples on either side of Tamaraibarani river, hold a special place in the 108 Divya Desams. While Irattai Tirupathi features as two temples in the Nava Tirupathi list, it is counted as one divya desam only. Nammazhvar, the only Azhvaar to have sung at the Nava Tirupathi temples, refers to certain temples in great detail, while some get only a passing mention. With extensive renovation work being funded by the TVS Group, these temples now have a mark of freshness about them. 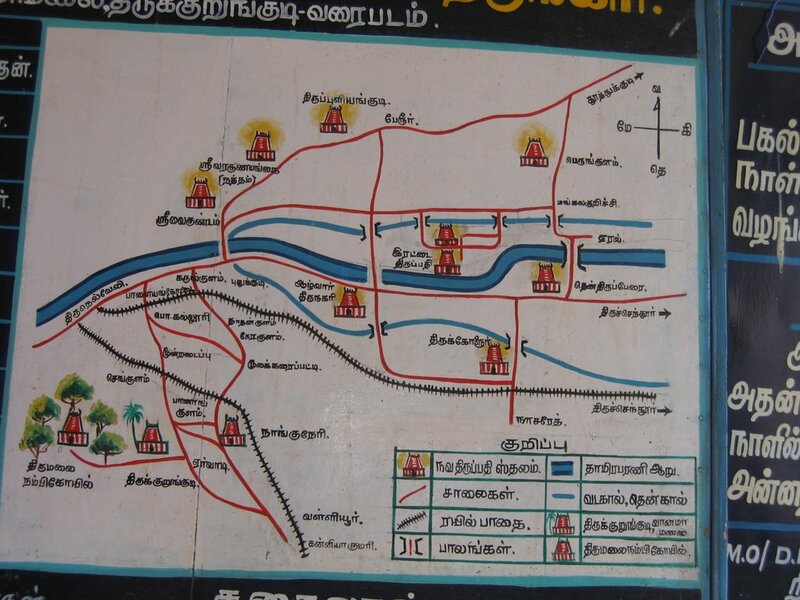 At each of these nine temples, one can find a display board with temple timings and route map. One can start the Nava Tirupathi trip from SriVaikuntam and end with Azhvaar Tirunagari. From SriVaikuntam, one can take an auto/taxi to go around the other 8 temples. This will cost around Rs. 250-300 and will take about 5 hours.One can also begin the Nava Tirupathi journey at Azhvaar Tirunagari and end with SriVaikuntam.